Adrian Taylor, CPA began her career at YHB | CPAs & Consultants in 1999, with a B.B. A. from Old Dominion University. She is a Personal Finance Specialist (PFS) as well as certified in Strategy & Performance Management from Mentor Plus. She is a member of the American Institute of Certified Public Accountants and the Virginia Society of Certified Public Accountants (VSCPA). She is also an Evaluator for the VSCPA Educational Foundation Scholarship Selection Committee, past president of the Dental Clinic of Northern Shenandoah Valley, serves on the committee for the Museum of the Shenandoah Valley Business Forum Luncheon and a Board Member of the Top of Virginia Regional Chamber. Adrian has been part of YHB | Wealth Advisors since its inception in 2017. Adrian provides individual and business tax planning, compliance and consulting services to a broad range of clients ranging from family-owned businesses to personal service corporations. She works with businesses and their owners, as well as other successful individuals, with strategic and financial planning. Adrian specializes in providing tax and financial planning services to individuals, partnerships and corporations. She has extensive experience with the tax and financial challenges business owner’s face. 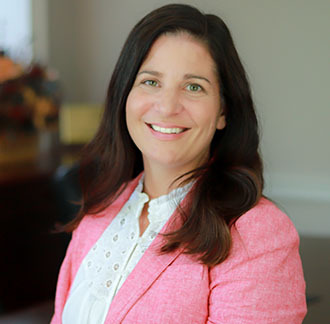 The Personal Financial Specialist (PFS) certification allows Adrian to combine her tax expertise with her knowledge of financial planning to provide clients with comprehensive financial strategies.